"This is my dog Bija at 2 years old. 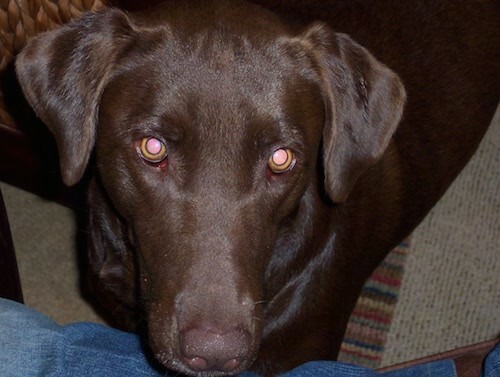 She is a Chocolate Lab / Chesapeake Bay Retriever mix. You can tell she's trying to hypnotize me into sharing the potato chips with her."